Today let’s show the paper’s main graphic by Will Steffen…a tipping point graphic, which gives us one more piece of valuable information. Let’s review. According to the study Greenland Ice is in great jeopardy of disappearing at +1C to +3C above preindustrial global average temperature conditions (post one’s subject). Boreal forests (subject two) at +3.0 to +5.0C, and for today’s subject Arctic summer sea ice at +1.0C to +3.0C and winter Arctic sea ice at greater than +5.0C. Now we can put some numbers on various tipping point factors, which once breached warm the planet. 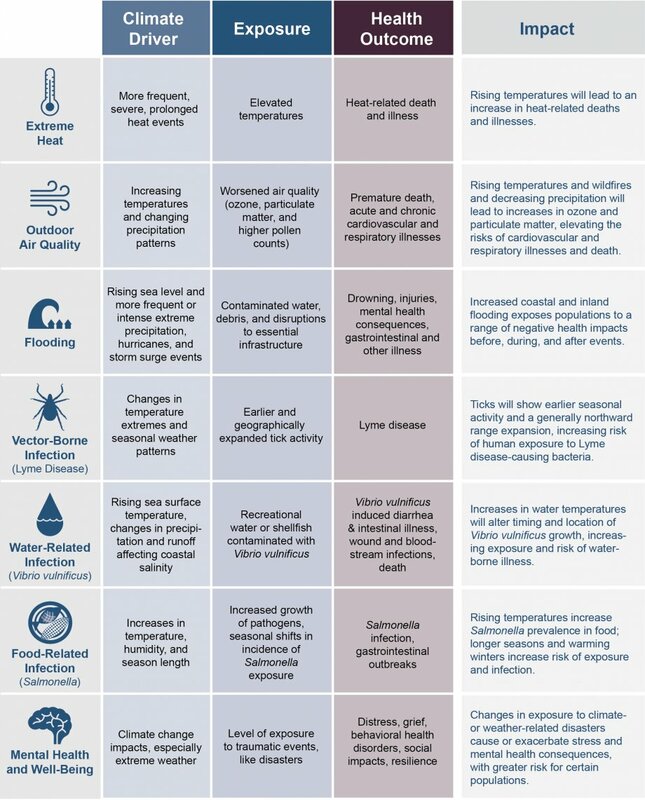 Again, think of these various tipping point factors as giant natural air conditioners, which keep Earth’s climate stable and cool enough for us humans to thrive and our civilization to continue. At the current value of around +1.0C above preindustrial conditions we already see that summer Arctic sea ice us trending sharply down. During August it may totally disappear using our best estimates by 2040 and perhaps earlier. 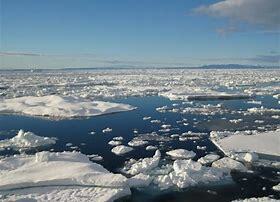 Once gone the albedo of open Arctic water won’t reflect nearly as much incoming solar radiation, thus producing a cascade effect of more warming regardless of any more carbon polluted into the atmosphere. If you think we have seen astounding Arctic warming since 2015 and associated changes in the Jetstream and accompanying weather, just wait until the year 2040. This boggles the mind. 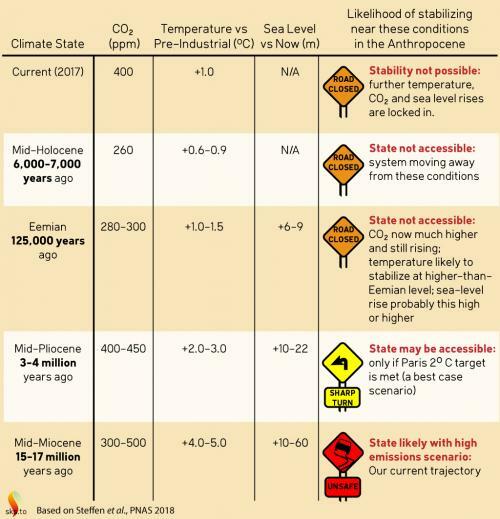 We are presently on track toward a middle Miocene range. Path to mid Pliocene or somewhat less is achievable. But will require fast response. Window to 1.5 C has a narrow gap remaining. Super fast response needed for a chance at it. And we will feel each additional 0.1 C hard. Obviously species depending on Arctic ice like the polar bear will disappear by about mid century. Eskimos and other indigenous people depending on the ice are already adapting to a changing environment, melding into modern society, starting to forget and lose old culture much like native American Indian tribes. Think of these tipping points also like a set of falling dominos. 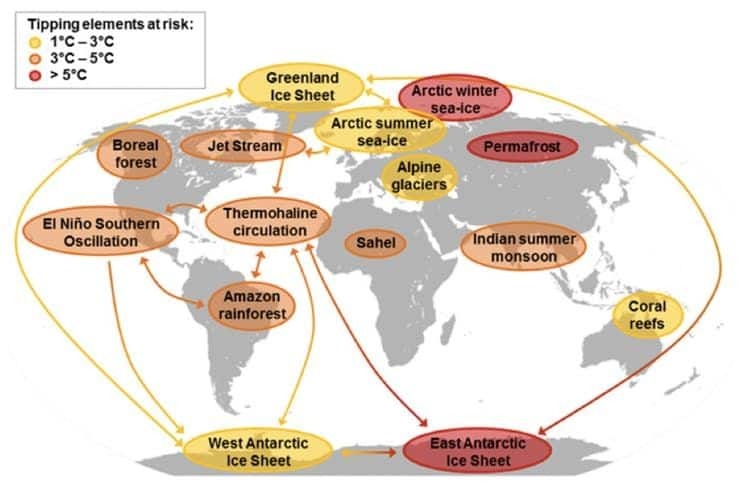 Should Arctic sea ice disappear we will see a much warmer climate, which in turn will affect boreal forests, the jet stream, and the rest of the tipping point factors depicted on the chart presented today. 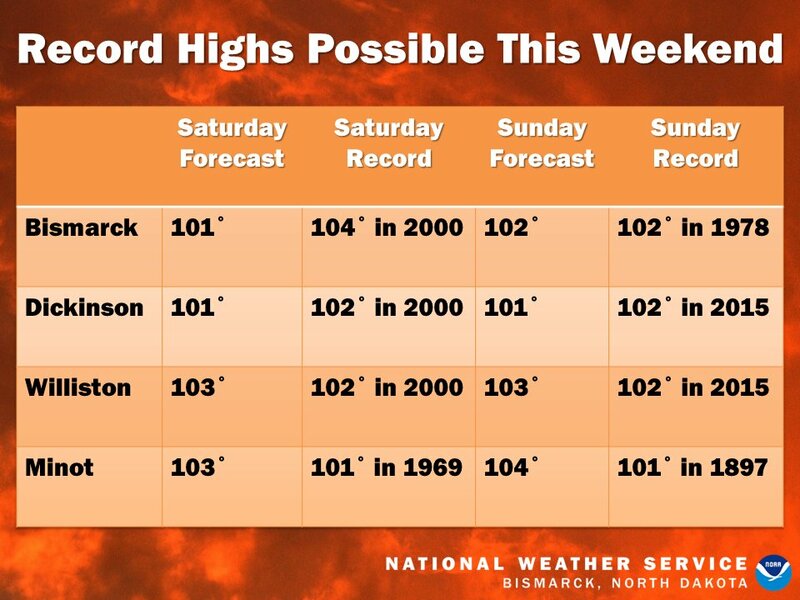 Warmth will breed warmth once any of these things get tipped, which should scare and spur all of us to act and act now. Most of the Southwest will continue to have unwelcome above average temperatures. 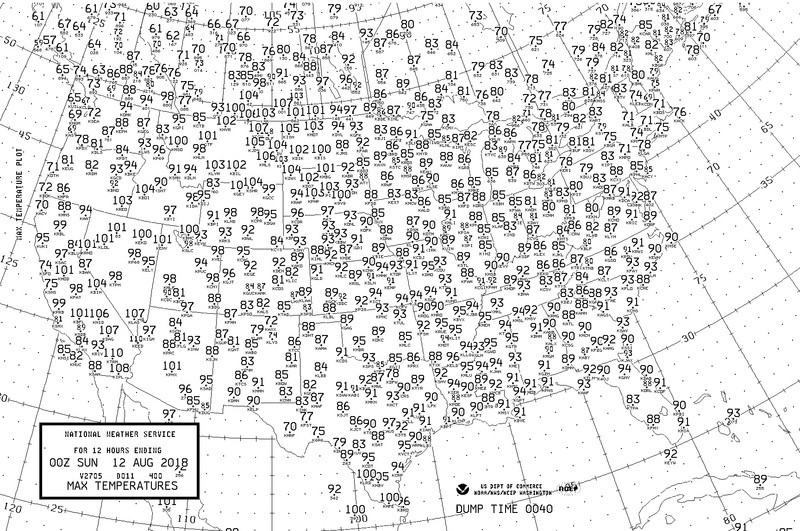 Temperatures won’t be too hard to take from the central and southern Plains to the East Coast. 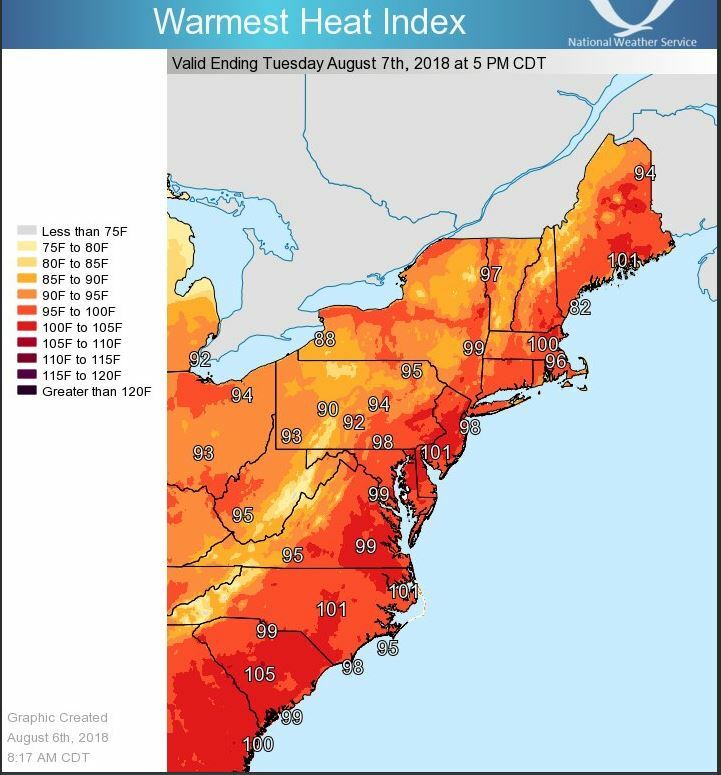 By 2050, climate change could drive tens of thousands of people into emergency rooms and could cost tens of millions of dollars in treatment for hyperthermia. 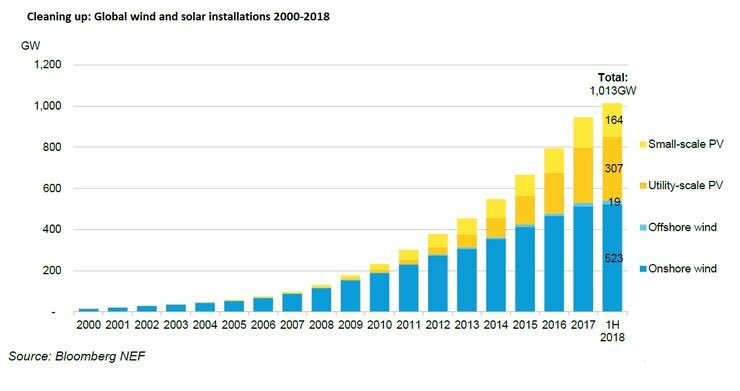 It took 40 years to reach the 1st trillion watts of installed #wind & #solar generation capacity. 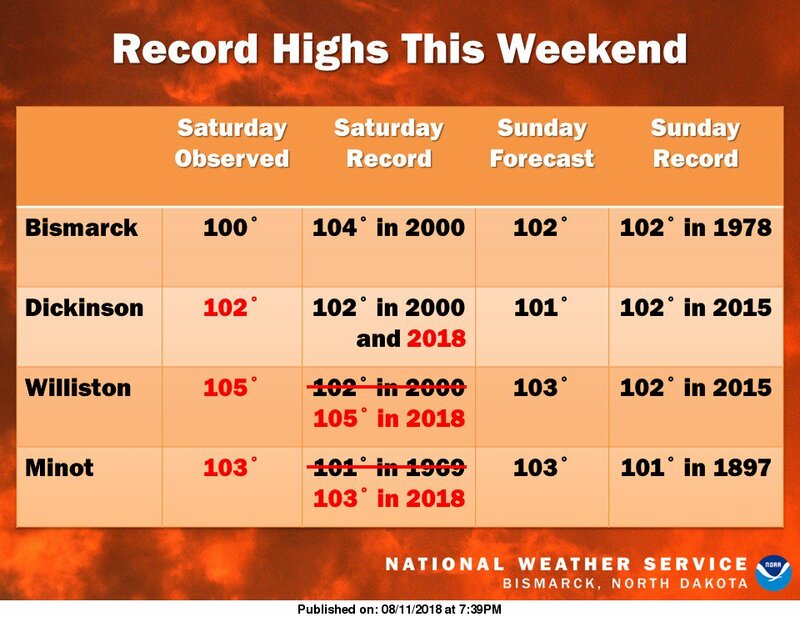 New record high temperatures were set at Williston and Minot today, and tied at Dickinson. Can we do it again tomorrow? It will be close! 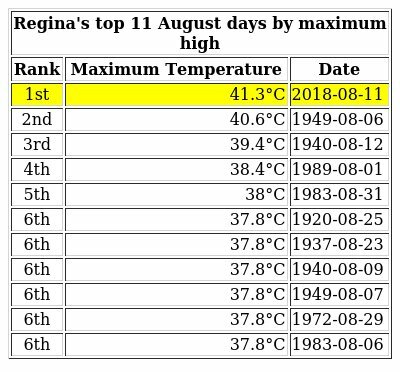 Saskatchewan’s capital city, #Regina, just had its hottest August day in 136 years of recordkeeping with 41.3°C (106.3°F). Today is the warmest August day on record in #Regina: 41.3°C. 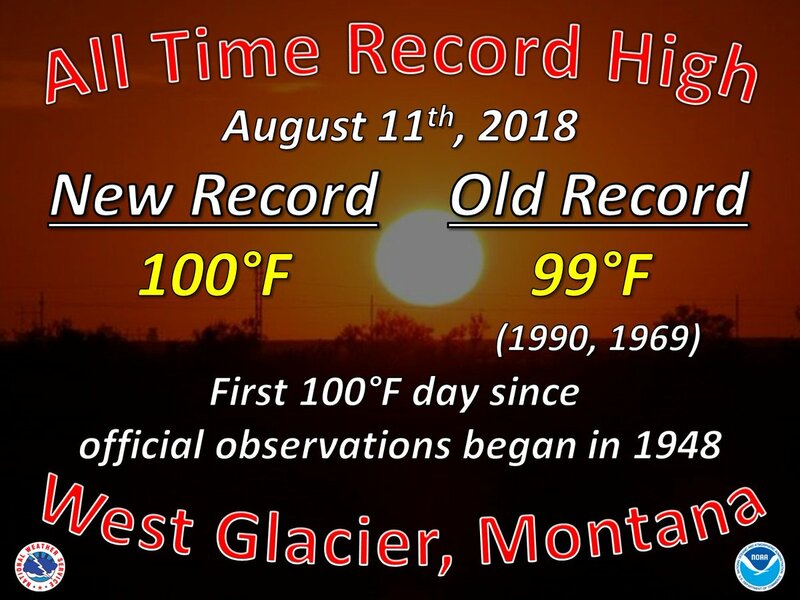 Record heat smashed eastern Montana and the western Dakotas and built northward into southern Canada. 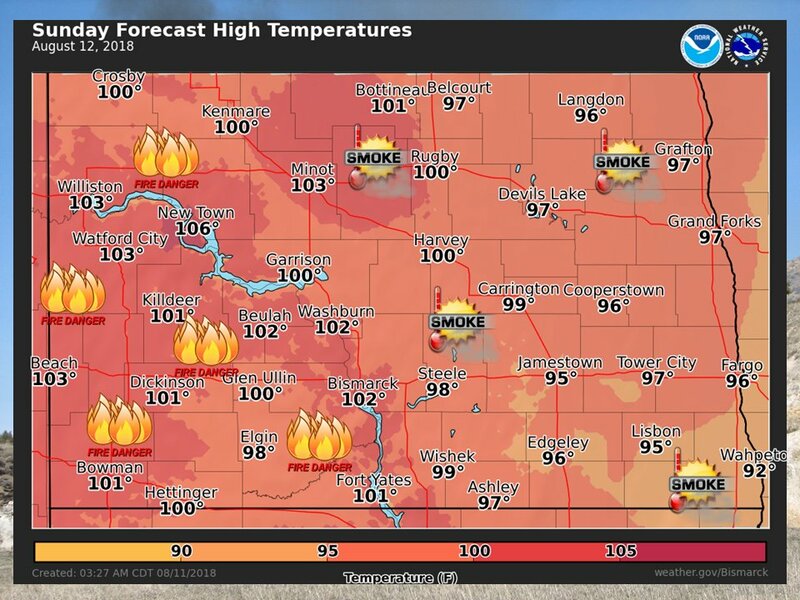 Heat abated in the Pacific Northwest while ramping up a notch over Friday’s values in the Midwest and Plains. 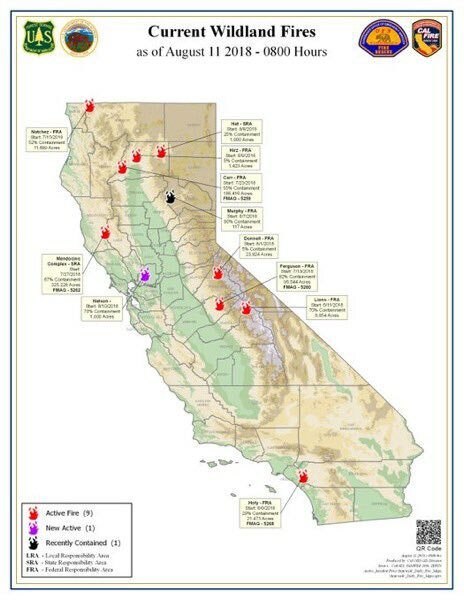 Smoke chocked California remained hot. 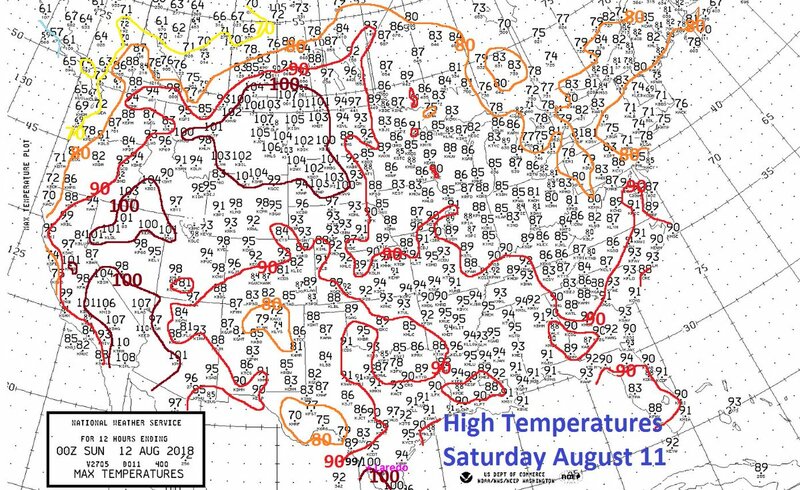 Laredo was 99F on our NWS coop thermometer (100F airport). 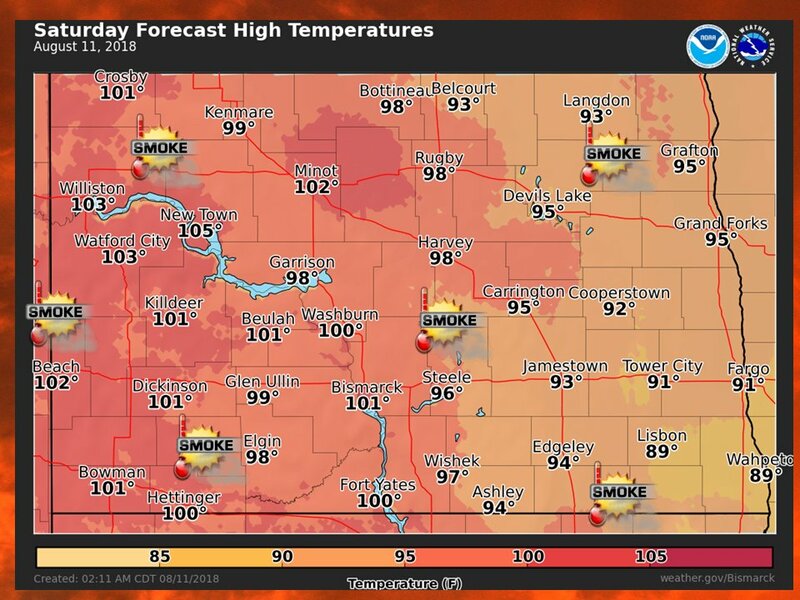 To the north, 108F in Wolf Point, Montana, 107F in Moose Jaw, Saskatchewan, 105F in Williston, North Dakota! Climate Tipping Factors, Extreme Temperature Diary 2018, Uncategorized. permalink.